(LANSING) – State Representative Aaron Miller has been given a special award. The Sturgis Republican was presented with the Legislative Advocacy Award by the School-Community Health Alliance of Michigan. 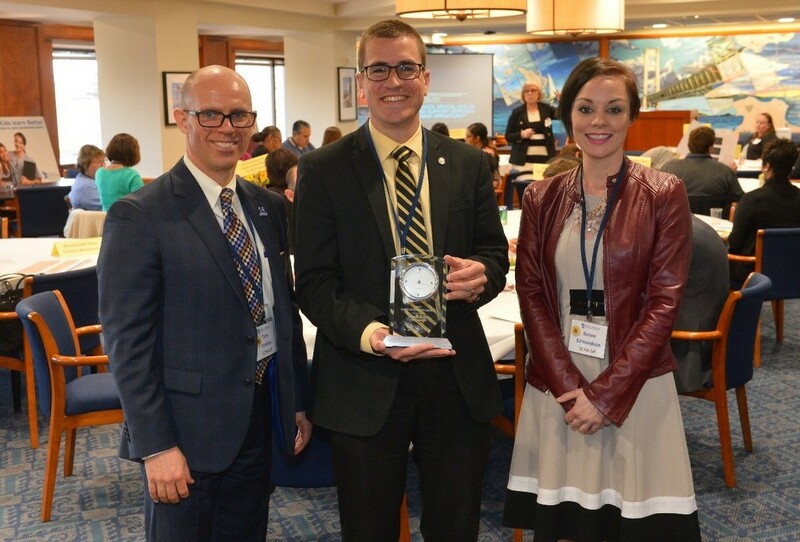 The award is given to the legislator who best exemplifies hard work and dedication toward supporting child and adolescent health centers in Michigan. Miller was selected, in part, for his efforts in shepherding Senate Bill 149 through the Michigan House as part of a budget supplemental last fall. Miller has been a consistent advocate for both community resources in schools and health centers and has demonstrated a particular commitment to ensuring that rural communities have health services. Miller says he is humbled to receive the award, and is proud of the work they have done together. He says he is looking forward to building on their success in the future. The School-Community Health Alliance of Michigan supports over 124 child and adolescent health centers around the State. The centers help kids learn and stay in school by providing primary care, mental health and dental services to children in need.